If you’ve been around the biz for as long as I have you see tons of technologies come and go. One machine in particular I used to use was the HydraFacial to get nice infusing results during a facial. Recently a new machine entered the marketplace and it’s results are blowing the doors off any machine I’ve previously used, including the HydraFacial. It’s called an OxyGeneo. Let me explain why our office has chosen it over the HydraFacial. Let’s begin by discussing the HydraFacial and how it works. I never felt like it penetrated the skin that deeply. I didn’t see much actual improvement in blackhead or acne issues. In fact, it was necessary to do extractions with this treatment to really get the skin clean. The results didn’t last long. The machine was constantly clogged/breaking down and much more. I want to elaborate more on the serum topic… what I found with this device is that because you can only use the serums provided by the company you are limited to what you can do with it. Additionally, they would add and remove serum availability constantly. So for example there was a stem cell serum that I felt worked well with the device but then they stopped making it. Additionally there is little selection for serums. For example, if your skin doesn’t do well with their exfoliating serum, there isn’t another option available. They didn’t follow with any similar replacement leaving it to the whim of the manufacturer to provide quality serums without the ability to use anything else. This was a constant battle with the manufacturer and made clients upset because their favorite part of the facial could disappear on a dime. I would say overall it has the ABILITY to be a NICE facial but overall the company wasn’t consistent enough to produce the LONG TERM BENEFITS. 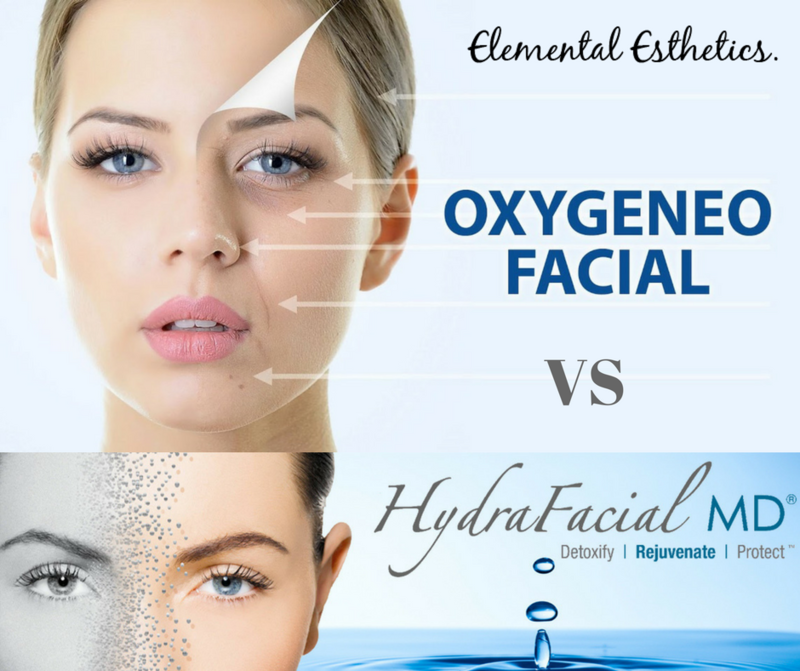 What makes OxyGeneo a Super Facial? OxyGeneo provides 3 effective facial treatments simultaneously. It combines gentle exfoliation, natural skin oxygenation, and a deep facial rejuvenation with the infusion of essential revitalizing nutrients. Breakthrough OxyGeneo Technology provides superior anti-aging results by treating the skin at a deeper level. The major advantage of the OxyGeneo over the HydraFacial is its ability to penetrate. Using CO2 helps the skin create its own oxygen which significantly helps reduce fine lines and wrinkles, break up acne and flood the skin with benefits. This also creates channels in the skin which help with deep penetration. This also makes it superior to other Oxygen facial competitors. 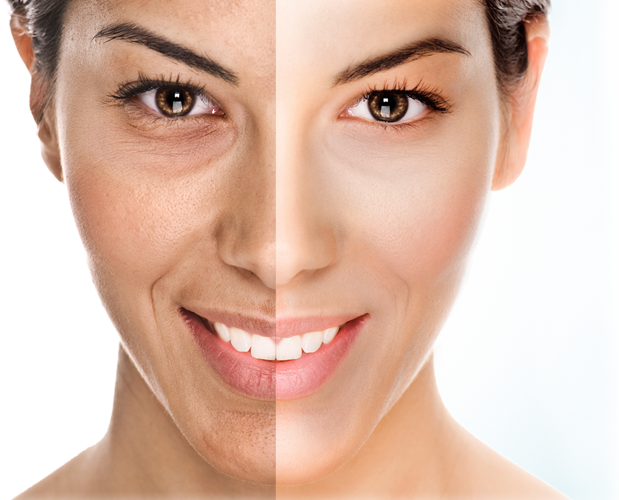 When your skin makes it’s own oxygen it improves the skin, when you use a machine to try to force oxygen into the skin it actually damages the skin! Phase two of the treatment includes a rough, microderm-like wand that helps remove unevenness and dullness in a highly effective manner. This leaves the skin buttery soft and smooth. The last phase of the OxyGeneo uses a completely custom blended serum mixture and Ultrasound waves to feed and nourish the skin, while reducing major issues like melasma, sun spots, redness, acne… you name it! Because your esthetician has the control over the blend, there is world of consistent serum options that can be included in this facial. Plus, your favorite serum won’t disappear overnight. It is also a fantastic facial because you continue to improve over the next few days. It doesn’t just peak the day of the treatment. So overall the OxyGeneo provides deeper penetration and far greater, more consistent results than the HydraFacial. Additionally it is far more customizable for your individual skin. Personally I liken the results of the OxyGeneo to be like getting a laser without the downtime. Now to be fair, it doesn’t last as long as a laser but it is still truly amazing! -Jennifer Warmann-Bloss is a blogger, a mom and the owner of Elemental Esthetics. 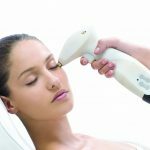 Cosmetic Laser Questions Answered (IPL, Fraxal, Laser Hair Removal, Ultheraphy, Venus Freeze, CoolSculpting etc) – Do They Work? How Do They Work? Leave your thoughts on facials below and follow us on Facebook to continue learning about beauty and health issues.